Experience Cinema's very popular Drive In is back for a season at Alexandra Palace in N22. As with the traditional drive ins you pay for the car, irrespective of how many people are in it, and then watch from your car. It's £22 per car and doors open 90 minutes before screenings, plus there's hot dogs from Popdogs, and a good selection of recent and classic films including Grease (singalong), Spectre, and Pulp Fiction. 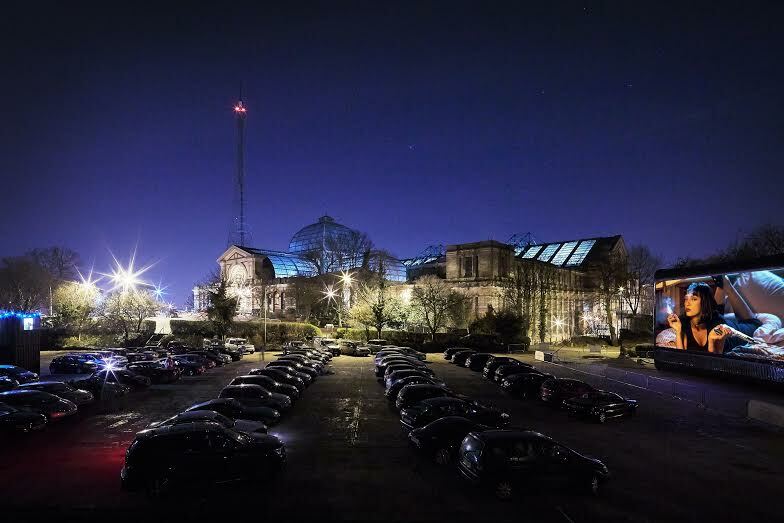 "Get ready to drive-in and dine-out as the Drive-In Film Club revs up for 2016 at London’s world-famous Alexandra Palace. From Thursday 10th March 2016 London’s only drive in is back, serving up classic, cult and current film favorites with a hearty slice of 50s Americana. Going for a drive needn’t be a drag, so park up, kick back and wind down as the historic venue plays host to the unique movie night from the UK’s number one pop-up cinema experts, Rooftop Film Club. With the best in classic films and new releases raring to go on the big screen and window services of stateside snacks courtesy of PopDogs by skilled roller skating staff, this is the best way to enjoy a flick this spring. Boasting the title as London’s only drive-in cinema, the Drive-In Film Club allows guest to enjoy some of the best new releases with an abundance of fancy Oscar nominated films including Brooklyn, The Martian and Creed. Drive-In guilty pleasures aren’t forgotten with a Grease Sing-A-Long kicking off the season followed by firm favourites Labyrinth, The Notebook and Pulp Fiction. The ultimate blast from the past setting combined with state of the art digital equipment will thrill vintage fans and film buffs alike, and at just £22 per car regardless of occupancy, there’s no need to be alone at the Drive In."